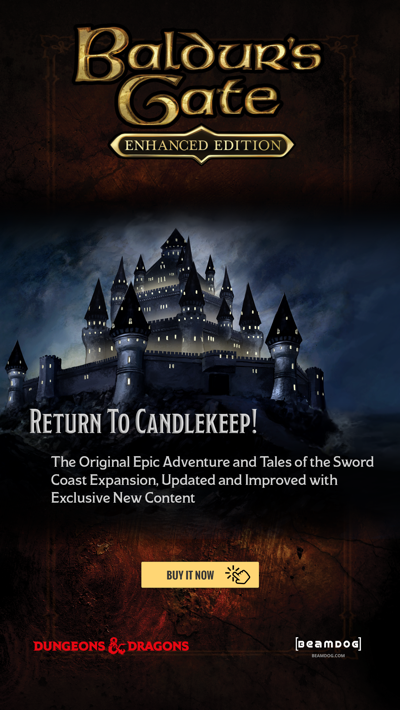 June Roundup - Sales, Patch News, and More! “Don’t be afraid” by TariToons… Do not fear to share your art. 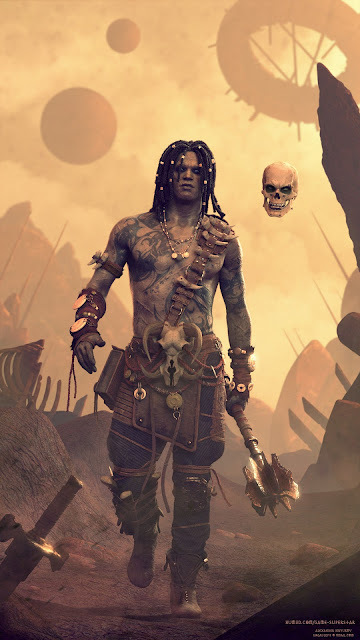 Planescape: Torment players around the world have been creating and sharing stunning fan art of the Planescape universe and memorable characters since the original’s release in 1999. 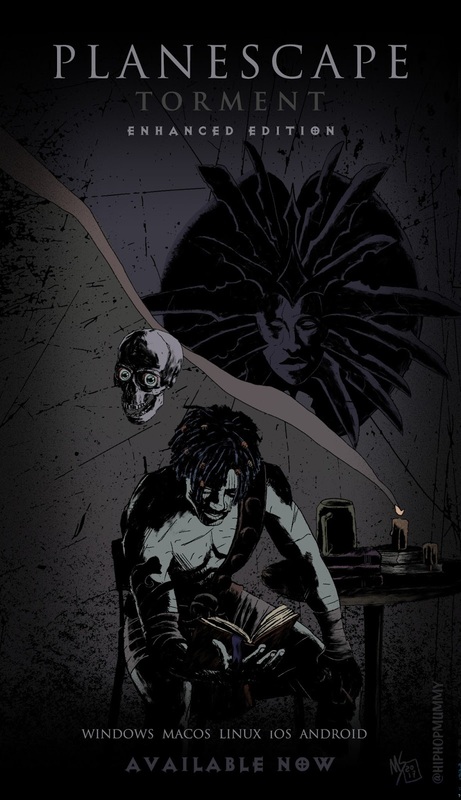 Inspired by Planescape: Torment: Enhanced Edition, fans from different countries have been creating unique interpretations of the Nameless One and his companions.We're excited to share with the world what our fans have sent to us. Read the story of your soul. We’ll start with this amazing poster for Planescape: Torment: Enhanced Edition by hiphopmummy. 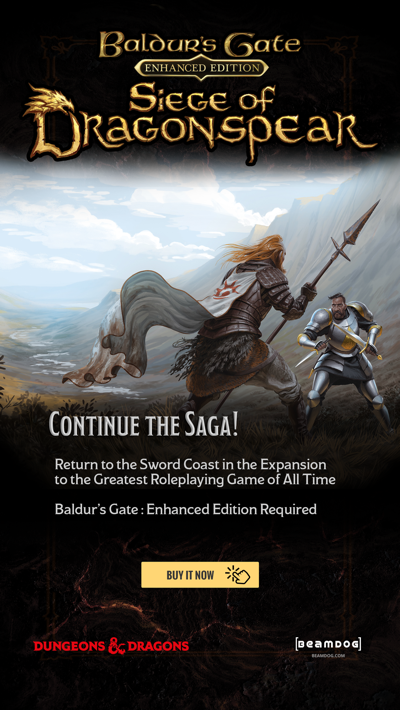 The poster was one of the first pieces of PST:EE fan art sent to us shortly after our announcement of that game. It looks gorgeous and we love the Mike Mignola vibe! Devils, demons... The Nameless One is ready for anything. Alexander Biryukov, a 3D character artist from Saint Petersburg, says the protagonist of Planescape: Torment is probably one of the most interesting characters in the history of gaming and we agree! He does an amazing job to show the Nameless One going through the Lower Planes to seek redemption alongside his loyal companion, Morte. The story of the Nameless One and Morte is definitely touching, and one of our favorite community cartoonists, TariToons, created this comic to express her feelings about Morte's backstory. Even the most treacherous misdeeds can be forgiven, no question. S0ulafein's has put pencil to paper to capture his take on one of his favorite Planescape: Torment characters, Dak’kon. 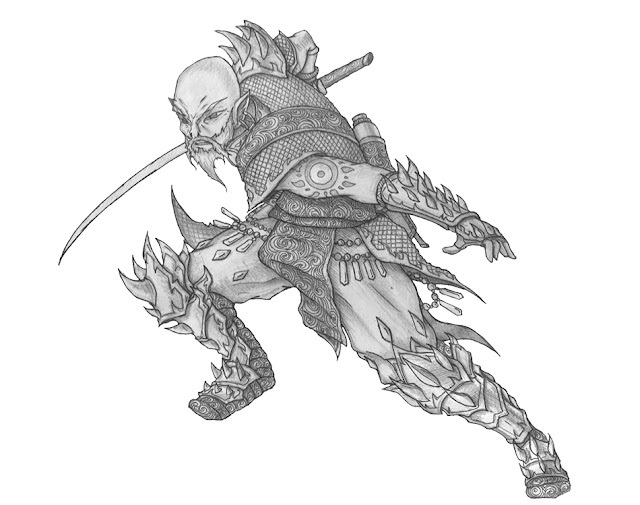 The original githzerai concept is heavily based on eastern warriors, and this image greatly reflects on that heritage. We're pretty sure that Beamdog forum member Brus has visited the plane of Mechanus. How else could he have designed this battlesuit for Morte? This is only a small part of Planescape: Torment: Enhanced Edition fan art out there. We love seeing all the amazing work our fans have made. 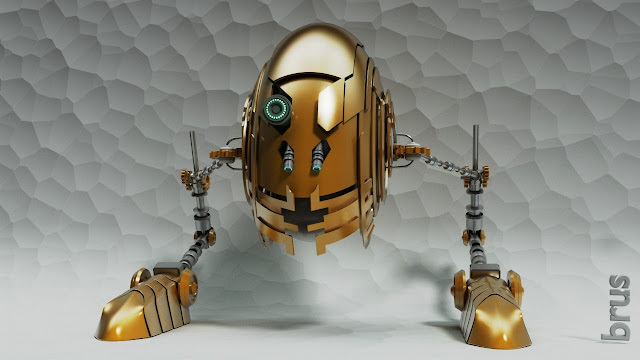 If you’ve created fan art for one of our games, be sure to share it with us on Facebook, Twitter, and in our forums. We can't wait to see what else you all have to show!